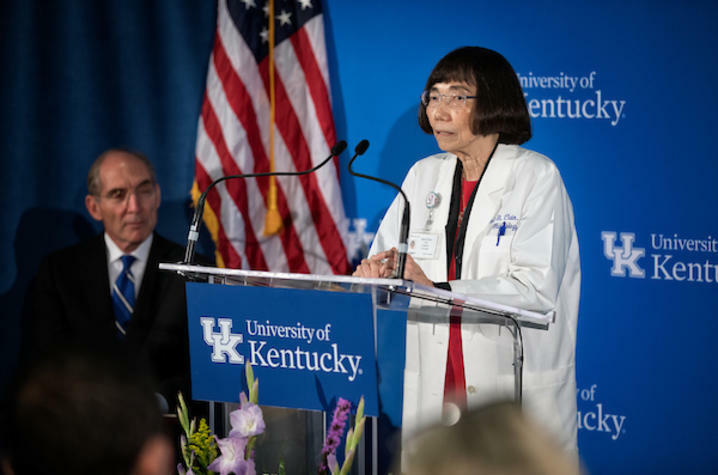 LEXINGTON, Ky. (Nov. 27, 2018) – University of Kentucky Markey Cancer Center researcher Daret St. Clair, Ph.D., has been named the 2018 Lifetime Achievement Award Recipient from the Society for Redox Biology and Medicine (SfRBM). 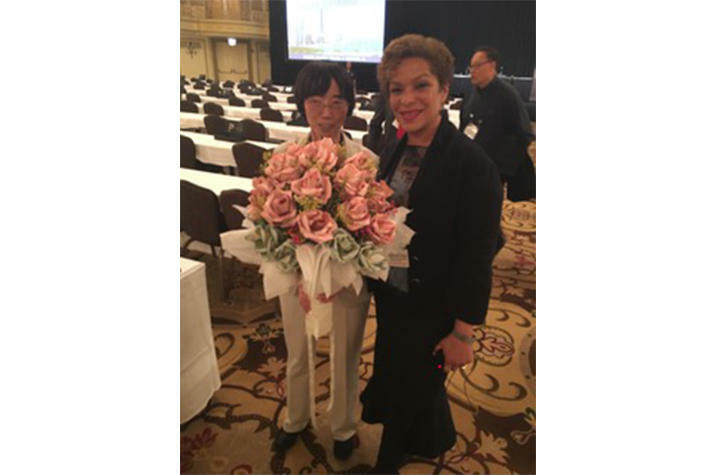 St. Clair received the award and gave a feature lecture at the SfRBM’s 25th Annual Conference in Chicago earlier this month. St. Clair began her career at UK as an assistant professor in 1991. She was promoted to full professor in 1999; and since 2002, she has held UK’s James Graham Brown Foundation Endowed Chair. She has served as the associate director for basic research at Markey for nearly 10 years, and last year became the director of the UK Center for Excellence in Cancer and Metabolism.